Find hotel near Schweizer Holzbildhauerei ..
Brienz has always been known as the centre for wood crafting in whole of Switzerland. The place has a very interesting history that all dates back to historic times and is still famous for their expertise in wood crafting. 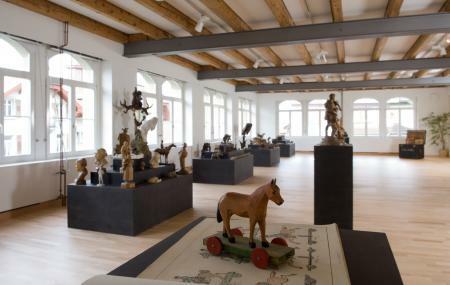 The museum of wood crafting is one of the most important attractions in the area as the place shows the real Brienz. The museum is a walk through the history and culture of the city and is famous among tourists for its craftsmanship. Children under the age of 16 is granted free entry. For groups it is 15 CHF for a maximum of 10 people. Trains from Brienz West can be taken to reach the place. Bus 151 from Brienz BE, Rössliplatz can be taken. How popular is Schweizer Holzbildhauerei Museum? People normally club together Axalp Walk and Giessbach Waterfall while planning their visit to Schweizer Holzbildhauerei Museum. teils wunderschöne tiere von talentierten Lehrlingen geschnitzt! Schön zu sehen was möglich ist!